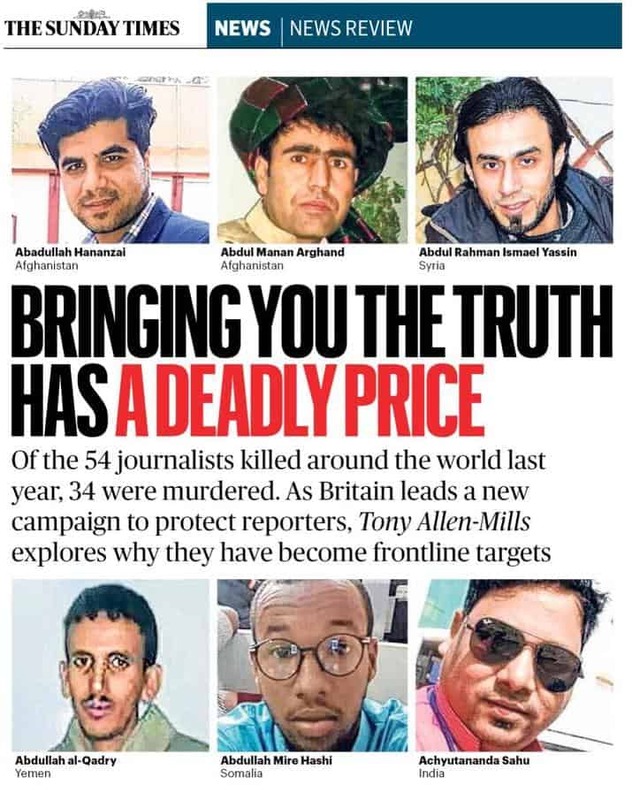 If you haven’t seen it yet, do read the in-depth feature in yesterday’s London The Sunday Times by Tony Allen-Mills about journalists killed in their line of duty. The article tells multiple stories of journalists and media workers who ended up killed, not all of them because they covered the stories in dangerous places like war zones or disaster-prone areas. Many of them got killed because they became targets. In places where terrorism thrives, journalists were killed because they became more useful targets than soldiers. Terrorists want headlines as their spoils of battle. But in places that considered free speech sacred, journalists have been branded “enemies of the people”. One such “enemy of the people” who ended up being killed was Daphne Caruana Galizia that the article also pays tribute to. The article is linked here (behind a paywall).